The reception venue they booked closed down. Kezia had to administer first aid to an unconscious and bleeding cyclist who had been in an accident on her way to get her hair done. A swarm of bees took over the garden at their ceremony, and they had to move the cocktail hour. But nothing could stop this wedding! Koskela Kitchen turned out to be the perfect venue for K + A. 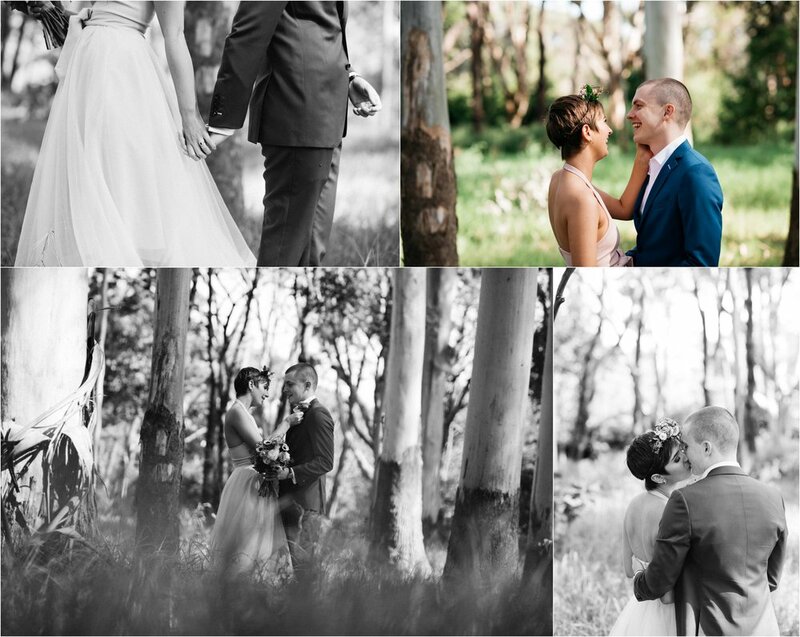 "We both love weddings, but didn't think the traditional wedding was for us. As a result, we went looking for a bit of an alternative reception venue. Once we found it, it all kind of fell into place from there. 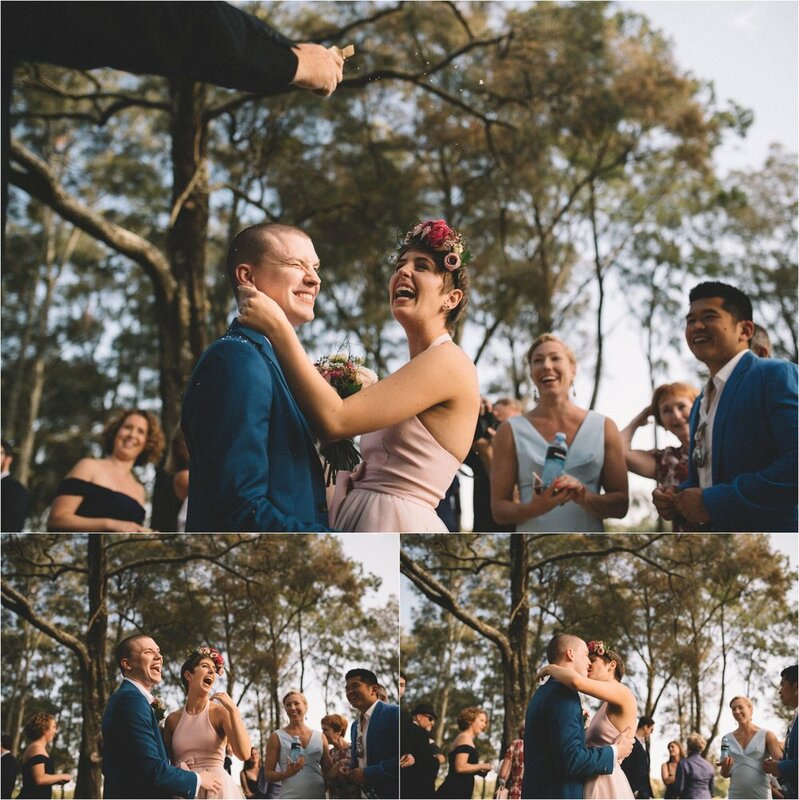 We wanted it to feel like a big family party, and I think we succeeded." The moment Kezia knew Al was the one? On one of her Sydney visits, she had just arrived from a 14 hour flight to find Al waiting for her at the hotel. "When we went to the room he put me to bed exactly how I liked, completely tucked in, except for my feet." Well, that settles that then. 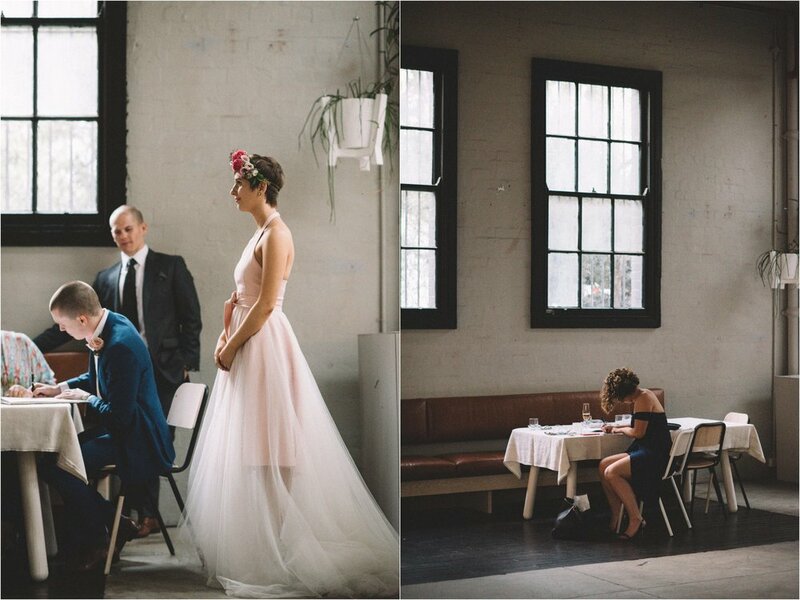 True love, bees, and a feast in a converted warehouse. Bliss!